Paul Stetzer has ended one career and begun another. His first profession was education, beginning in Head Start in 1968. He then became an environmental educator at an urban nature center and concluded as an elementary science teacher at Germantown Friends School. After spending all his life in Philadelphia teaching and raising two daughters, he married his childhood sweetheart and moved to New York in 1997. It was then that he was introduced to the endless wonders of Cape Ann, MA, and he hastened to focus his landscape work there. In New York City and Cape Ann he practices photography: landscape, portrait, and documentary. Paul’s documentary work includes assignments for the University of Chicago, United Neighborhood Houses, Career Transition for Dancers, City Harvest, and the Annie E. Casey Foundation. He is actively working on two projects: “Time and Tide In Cape Ann” and “Democracy is coming. . .” , images of people struggling for justice. Paul has studied with a number of superb photographers, including Phil Borges, Ellen Binder, Lina Bertucci, Steve Hart, and David Welles. His work has been exhibited in a variety of galleries in New York City as well as in Philadelphia, Vermont, Massachusetts, Florida, Mexico, and Cuba. In addition, Paul hosts internships and teaches classes in photography. 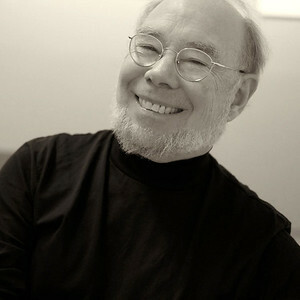 He is an active member of the Soho Photo Gallery (https://www.sohophoto.com), a cooperative gallery. He has volunteered for a variety of not-for-profits as well as for aspiring actors, models, and singers.